Dampsure provides quality damp and waterproofing Products. Many old and even new houses are affected by rising damp problems. The lower sections of walls, on the ground floor level, are often saturated with damp, this damp has been wicked or sucked up from the damp earth underneath the building past the protecting DPC layer underneath the building slab. This rising damp condition results in paint bubbling and blistering and can even cause plaster to fall off the walls; and constant repairs to the damp walls having no long term effect. For as long as walls have damp, the problem will keep coming back. 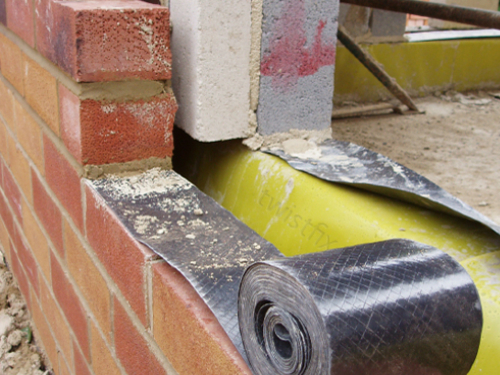 Damp Proof Course (DPC) is a water-impermeable horizontal layer, typically a type of plastic sheet, that you would find between two courses of bricks at the foot of a wall above outside ground level (normally 150mm above outside ground level). Its job is to prevent water rising by capillary suction through the mortar and bricks from the damp or wet ground below. 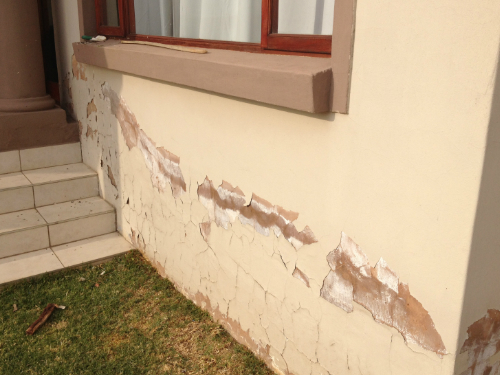 Obviously if the DPC is damaged or defective, it is usually not feasible to demolish the wall to rectify the DPC, so there are treatments which inject waterproofing material (DPC Cream) into the wall, thus restoring the DPC. Perishing of the old damp course. The damp course is incorrectly installed. There is no damp course installed. 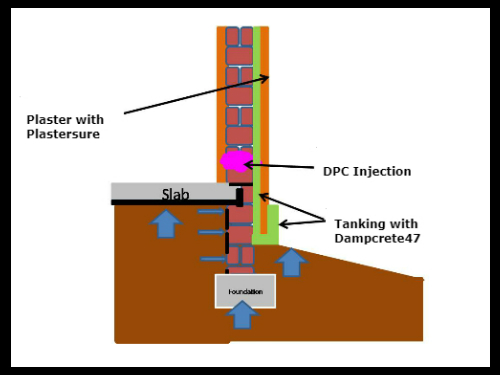 Dampsure has developed a 10 Year Rising Damp recipe/solution and this rising damp solution is an easy to use 4 step process.